I’m all about getting a brighter and whiter smile, and what better time to do that than Christmas? 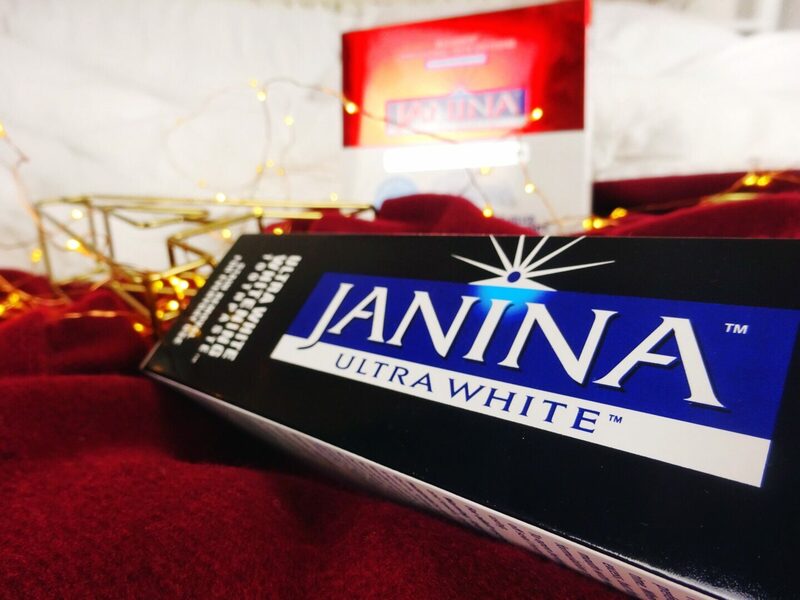 Thankfully, Janina Ultra White have sent me over some products to help me out with this so that I can finally have a sparkling smile for those festive family photos. 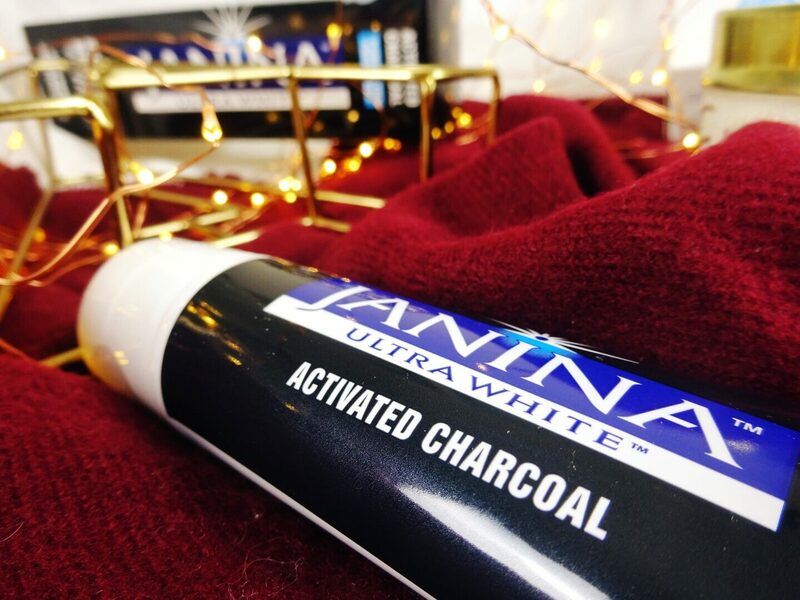 I was fortunate enough to receive both their Activated Charcoal Toothpaste and the Maxiwhite Professional Teeth Whitening Pre-Filled Trays, so I had very high hopes that I’d get whiter teeth in no time at all. The Activated Charcoal Toothpaste is a whitening toothpaste formulated with charcoal to naturally whiten teeth. This also contains the Bromaine Complex, which is a combination of natural fruit enzymes that works super well at whitening teeth and won’t leave your teeth feeling sensitive. This toothpaste isn’t just for whitening, it will also help to reduce plaque and tartar, reduce sensitivity and prevent decay – so it’s really an all-in-one kind of toothpaste! One thing I love about this is it’s strong mint flavour, which really keeps my breath feeling super fresh all day long. It’s also a totally vegan product! After trying this out for just over a week I wouldn’t say I’ve seen a significant change in whiteness from this product yet, but I definitely feel like it’s helped to control any staining that might’ve happened and kept my teeth looking nice and bright. It also pairs so well with the whitening trays to maintain a bright smile. Arguably the most exciting product I received was these whitening trays. I’ve used whitening strips in the past but never trays, so I was curious to see what these would be like. This product uses Sodium Percarbonate, which when in contact with saliva begins to whiten teeth. This means that you can get whiter teeth without the use of harsh chemicals and ingredients – meaning no sensitive teeth! I really love that these trays are pre-filled so that I don’t have to worry about getting the right amount of product (because I would absolutely do something wrong); these are totally effortless and foolproof. The fact that it’s a five day treatment makes it really easy and fast too, unlike some other whitening products where you need to use them for about 30 days to see results. The great thing about these trays is that both the top and bottom tray are one size fits all, so they’ll work for everyone! 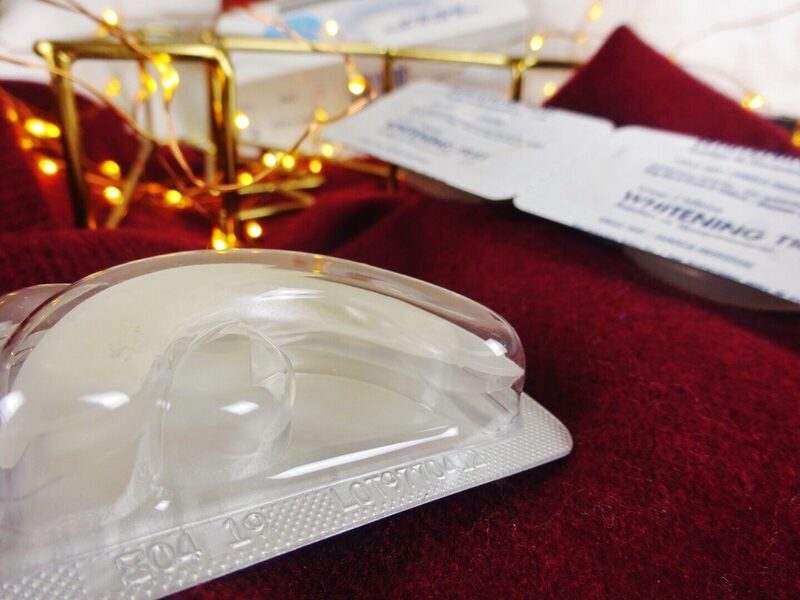 They’re also much easier to use than strips as they can’t slide about anywhere – although I did find that I had to clamp down for the half an hour that I was wearing them to make sure they were fully covering my teeth. The gel has a nice minty flavour, so you don’t have to worry about it tasting too gross, and the gel is pearlised too which is so pretty! Immediately after using these my teeth looked so much whiter, I was honestly shocked to see the difference! Since using these for the full five days I’ve definitely noticed my teeth now look a lot whiter, and it’s removed most of the stains around my gums too. I really love that I got such amazing results in only five days, these would be great for a Christmas party because you can get a brighter smile practically in an instant. The lack of harsh ingredients and abrasives has meant that this hasn’t caused me any sensitivity (something that most teeth whitening products do), so I’m incredibly happy about that. 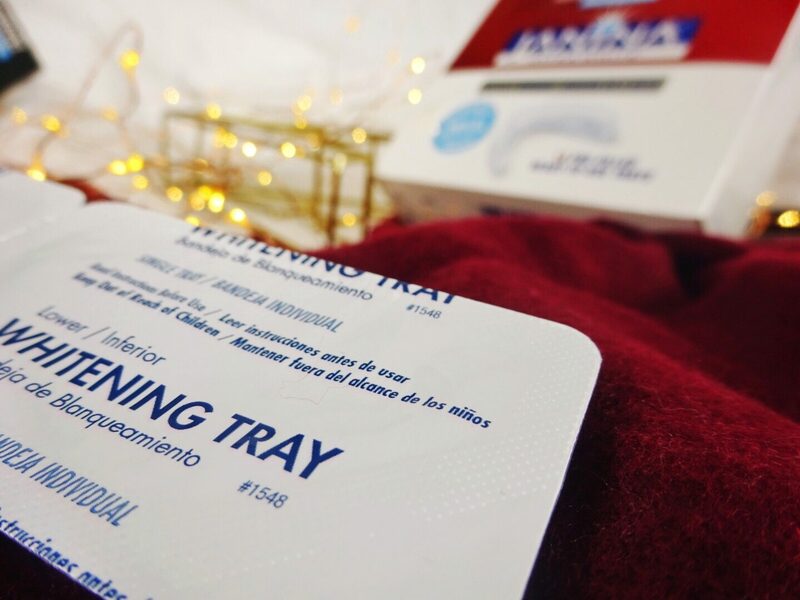 I really like that you can use these trays to maintain your bright smile too – I’ll definitely be keeping a box around for whenever I want a top up! 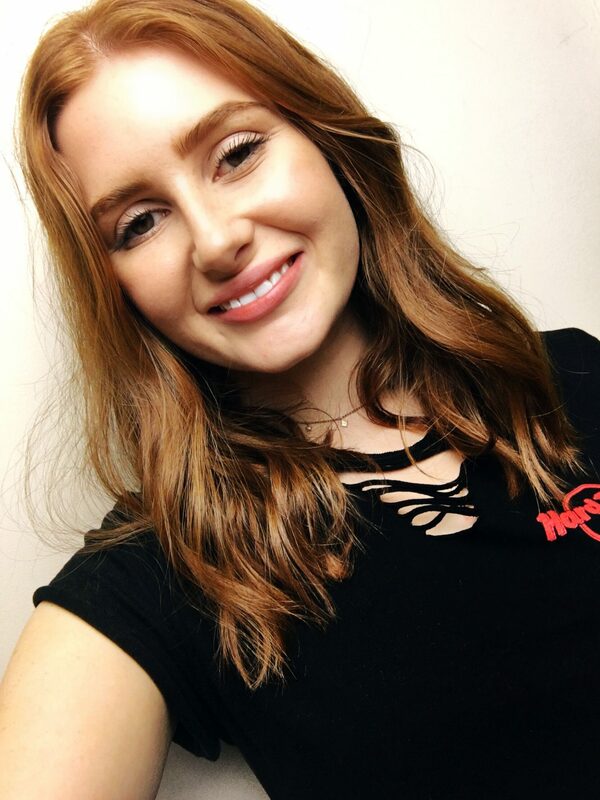 I’m super impressed with the result from using these products, especially the trays, and I’m so excited to show off my bright smile this Christmas! 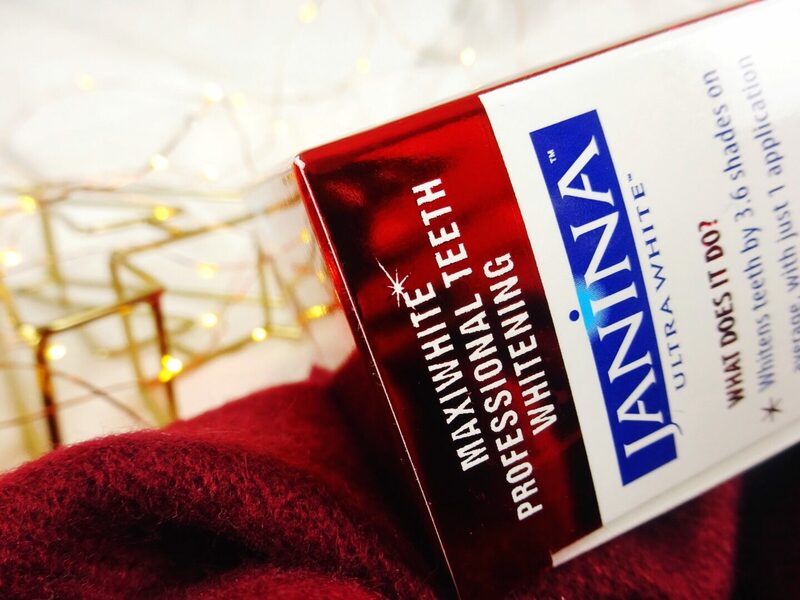 If you want to get a whiter smile for Christmas then you can pick these products up from Boots in-store or online and save 1/3rd on all Janina products from now until the 29th December (making the toothpaste £7.67 instead of £11.50 and the trays £20 instead of £30!) – with a deal like that there’s no reason not to! *Although I was sent these products for reviewing purposes, all thoughts and opinions are my own. You can read more in my disclaimer. 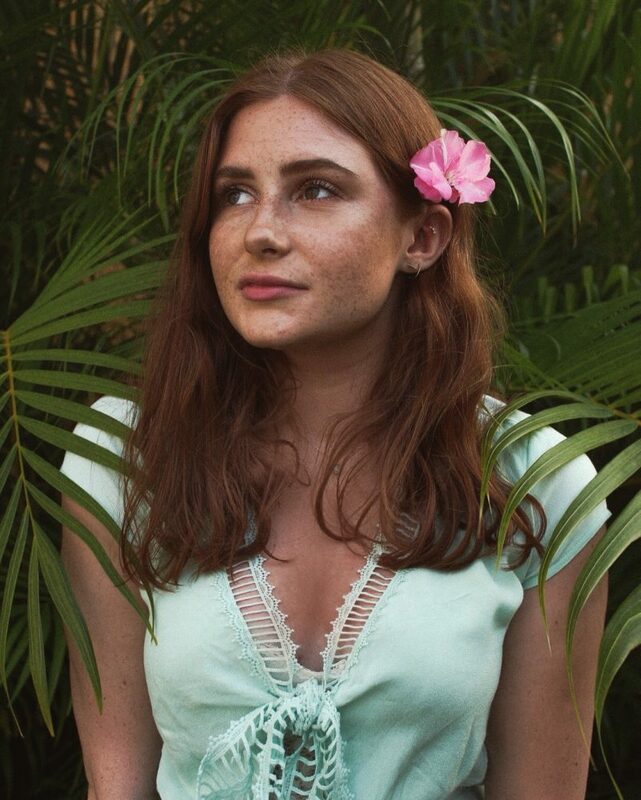 I’m always intrigued by teeth whitening products but also really wary too as my teeth can get quite sensitive and I know some of them have bad ingredients in which just makes it worse! But these sound lovely and your teeth look so white and pretty!